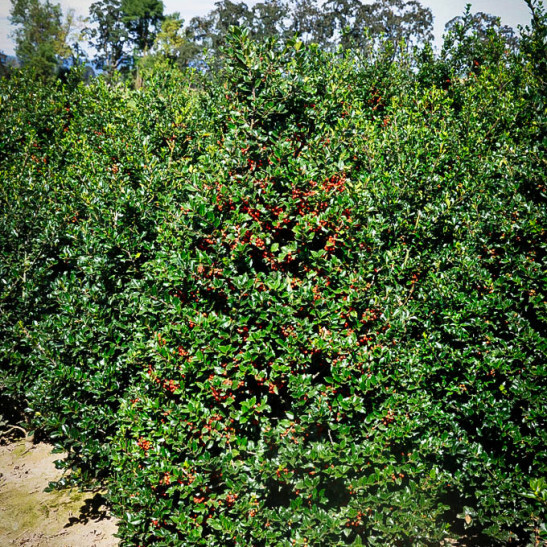 The Blue Girl Holly is an attractive evergreen bush that is the hardiest of the holly trees, and can be grown right through the mid-west and north-east, in areas that are too cold for ordinary holly bushes. If you love holly – and who doesn’t – but think your winters are too cold, then the Blue Girl Holly is the tree you must grow. It was specially bred to survive cold winds, snow and ice and will carry beautiful red berries all winter that will bring color to the dark days of the holiday season. 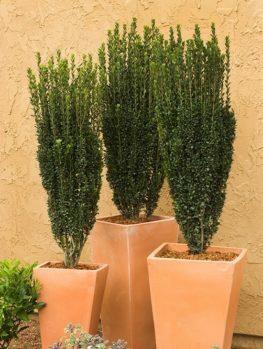 It will grow into a bush six to eight feet tall, covered in beautiful rich-green leaves all year round and can be planted in a sunny or partially shaded location in your garden. The perfect specimen, or ideal for a shorter hedge, the Blue Girl Holly is a ‘must-have’ for every northern garden. Not only is the Blue Girl Holly resistant to cold, it has no significant pest or diseases either, and needs no special care to thrive in any garden. It will grow best in damper areas but once established it will survive normal summer conditions. Now you can have the holly bush you have always dreamed of, but thought was impossible, so order your Blue Girl Holly today – you won’t be disappointed! 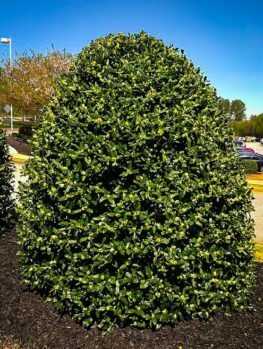 Everyone loves the holly tree – it has been a staple of American gardens for 200 years, but their evergreen leaves can be damaged by cold weather and their growth is limited to zone 6 or warmer. 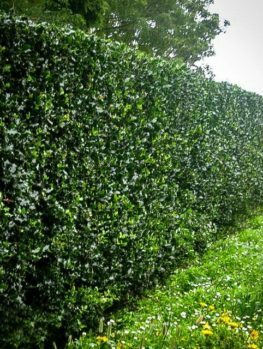 But now we have a solution to the problem, that allows millions of gardeners to enjoy holly in their gardens, even if the winter temperatures plunge to minus 20 degrees Fahrenheit and the snow piles deep around the house. Even in cold places like Chicago and all along the Great Lakes, this plant will thrive. The Blue Girl Holly has rich red berries in fall and winter, bringing color to the garden and seasonal tradition into your home. If you have longed for a holly tree, but always thought your area was too cold for one, the Blue Girl Holly is the answer. 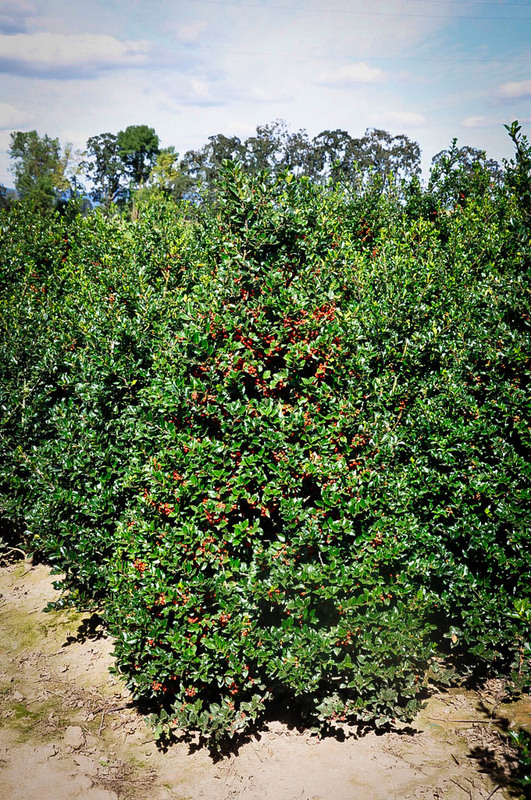 The Blue Girl Holly will quickly develop into a rounded bush six to eight feet tall and three to six feet across. 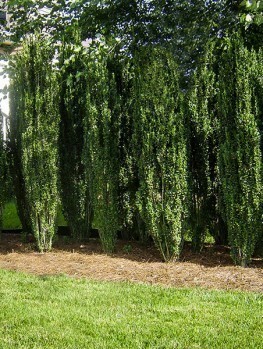 It can be left to develop into its attractive natural shape, or it can be trimmed into a neat form if you prefer. 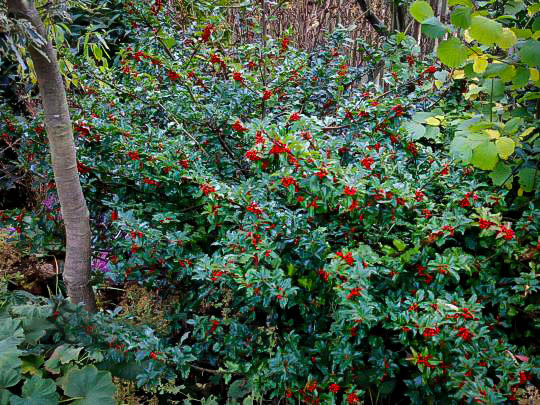 The leaves are evergreen, so this bush will bring color and form to your garden in winter. Each leaf is one or two inches long and about an inch wide, with short spines along the edges, just like the common holly. The leaves are a rich, very dark-green color, with a bluish haze to them, which is why these plants are called blue holly. The flowers appear in clusters in the spring and are small and white. 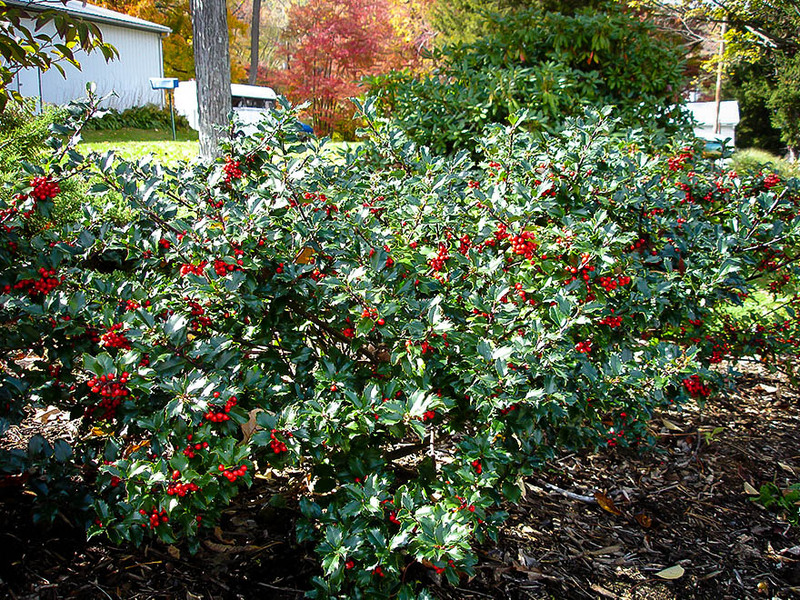 The flowers are followed by clusters of bright red berries which turn the bush into a real Christmas decoration, and stems can be cut and brought inside for the holiday season. Holly can be used as part of the planting around your house, or in beds with other shrubs and flowering plants. It will grow well in partially shaded areas, so this is a great way to bring color to some of the darker parts of your garden. 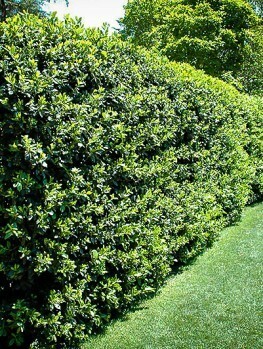 It can be grown as a specimen bush, but it also makes a wonderful hedge, and with its spiny leaves it is a good barrier to give you more privacy. It can even be grown in a large pot on a terrace or patio. Choose a sunny or partially shaded location for your Blue Girl Holly. It will grow best in soil that is not constantly wet, but does not dry out too much either. It prefers slightly acid soil, which is common in most of the north-east. Keep your tree well watered, especially in late fall before the ground freezes. Holly does not have any serious pests and diseases and it is an easy plant to grow. 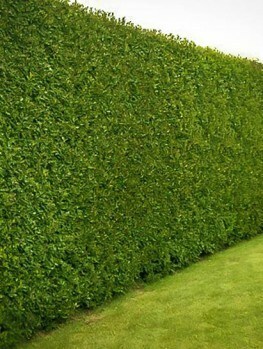 If you want to trim your plant into a neater form, or make a hedge out of it, trim it in late winter, before the new shoots are seen, but after the cold weather has gone. Holly plants are separate males and females, so to get the maximum crop of berries, plant a male holly, preferably one of the blue holly varieties, near your Blue Girl Holly. 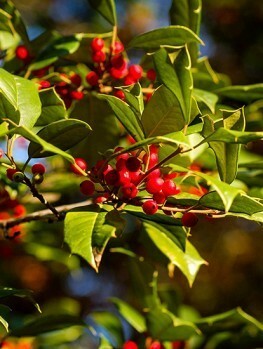 Most holly trees are forms of the common holly, Ilex aquifolium, a native tree of Europe, including Britain. When it was introduced into American gardens it grew well in more southern areas, but found the harsh winters of the northern states impossible to live in, as the cold damaged and killed the foliage and branches. Now many gardeners in the north looked for solutions and the answer came from Kathleen K. Meserve. She was an enthusiastic amateur gardener who lived last century on a 10 acre garden in St. James, Long Island. 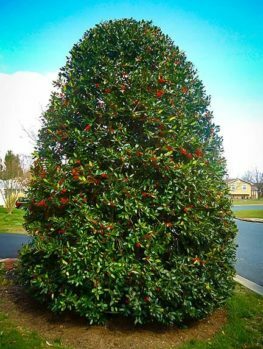 Meserve collected many kinds of holly trees from around the world and found that one, the Prostrate Holly from Japan, Ilex rugosa, was extremely hardy and never suffered any damage in winter. However, this plant did not have the smooth, glossy leaves of common holly – so she took pollen from it and used that to fertilize some flowers of the common holly. When she grew the resulting seeds she found that the plants were attractive like the common holly, but hardy like the prostrate holly – she had found the perfect holly for colder climates. One of the most attractive of all the seedlings she named ‘Blue Girl’ and from that plant all the plants of the Blue Girl Holly have been made. Such a special plant as this must be grown only by rooting stem pieces derived from the original plant, so plants grown from seed will not be like the original Blue Girl Holly so carefully raised by Mrs Meserve. Avoid buying cheaper plants that are simply called ‘hardy holly’ as these will not be the remarkable Blue Girl Holly you need for your cold area. So if you have longed for a holly tree, but always thought you lived in an area that was too cold, now your wish can come true, with the beautiful Blue Girl Holly, a truly hardy holly that will grow across most of the northern states. Since this plant is so special, our stocks are limited, so order now so you will not be disappointed.